Dr. Hughes and her husband, Dennis, have two children, Ryan, who is studying Bio Chemistry, and Kristin, an architect in Atlanta. 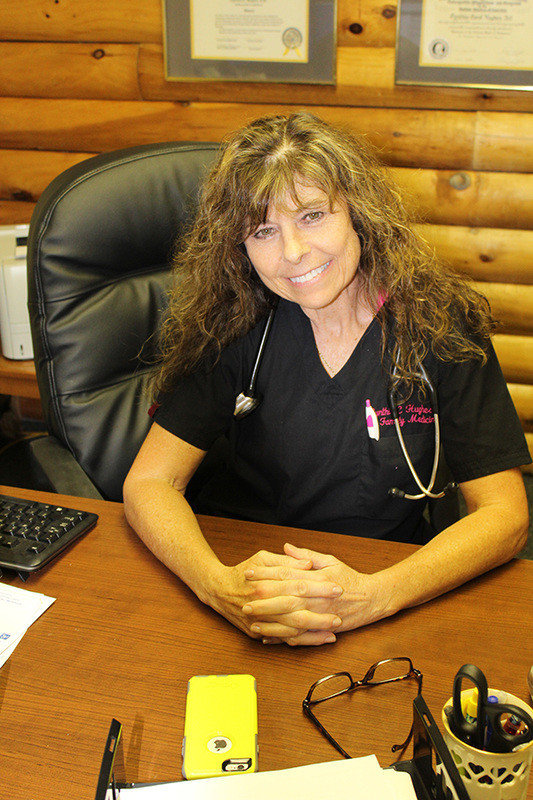 Dr. Hughes is located at 25376 State Highway 39 and is open 8 a.m. through 5 p.m. Monday through Friday. Call (417) 858-6845 for an appointment. Dr. Hughes said, “I think God ordained my being here in this beautiful Ozarks facility, a hidden gem. It’s a dream come true for my husband and me.” The next time you need a doctor, see Dr. Hughes, and while you wait you will have a magnificent view of Table Rock Lake.